Scott Willis in episode #17 discusses his launch from his normal life as an employee to an entrepreneur starting and building a tequila company in Texas, Tequila 512. 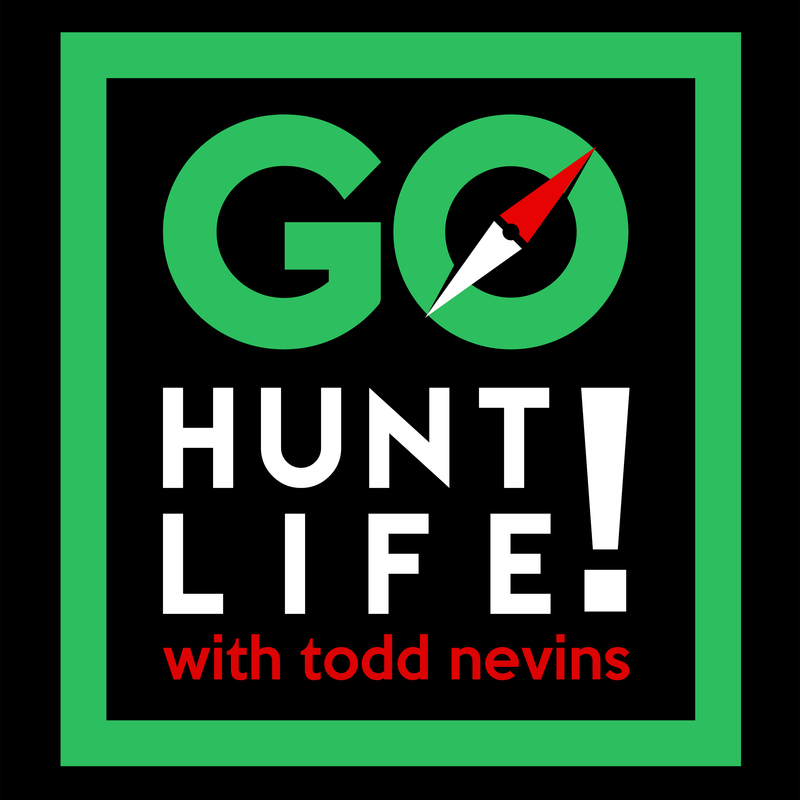 Todd: Scott Willis thank you for joining me today on Go Hunt Life. Scott: Thanks, Todd. Thanks for having me. Todd: Where you at right now and what’s your view? Scott: It’s not very exciting. I’m in my house in South Austin, near Zilker Park. I actually ran in here to do to the call with you cause it’s the quietest place I can think of. Scott: My view is my bushes in my front yard in South Austin. Todd: Perfect. Are you married? Kids? and how old are you? Scott: I am happily married. I just turned 40 on August 31 and I have 4 children. Scott: I got everywhere from 12 to 2 years old. Todd: All right, and what is your current profession? Scott: My current profession is running my tequila company and managing my family. Todd: All right. 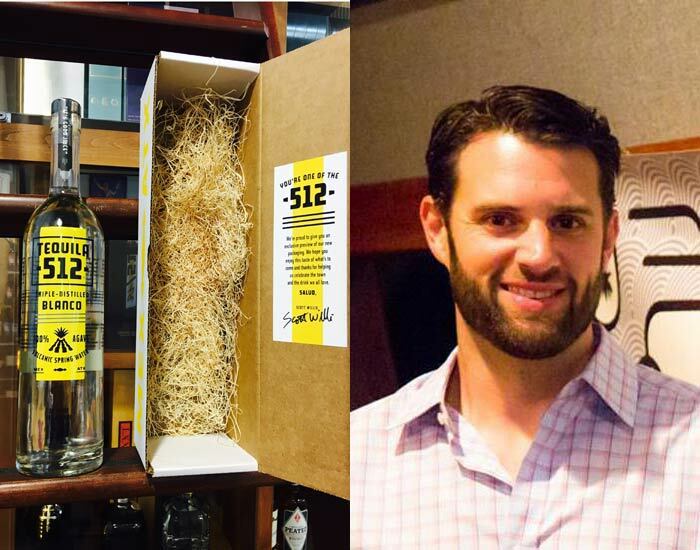 Let’s go back 5 years prior to you finding Tequila 512. It’s 2011 – the US economy is getting ready to come out of the recession, what were you doing and where were you living in 2011? Scott: In 2011, I actually was in the same house and city I’m in now, we just moved here just a little bit before 2011. We are almost 6 years in this home in South Austin, but I was working for a publishing company. 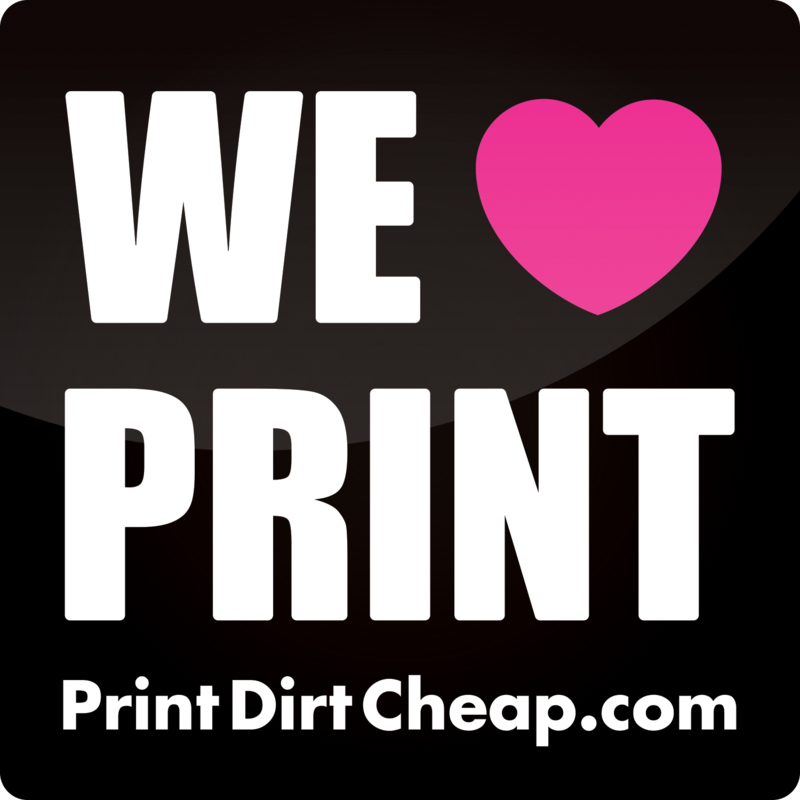 I spent mostly publishing it was a digital technology, but it’s foundation was based on publishing. So it was digitized content for colleges and college libraries. So I did that for almost 2 years and I consider it still technology-based, coming from element Apple and that’s because we were basically selling all digital content. I was doing that, having my second child at that time and I was actually already working on the company so we launched almost 4 years ago, but the kind of fruit of my labours are about 2 years in my making now. So, I had already been working on this process you know again almost 10 years ago now, it will be 10 years at the end of this year. And I first kind of went down there to Mexico and really just kind of built into this and then spent the better part of those 2 years and lunch hours and all those things, you know working on a business plan figuring out how I’m going to do this. Todd: Where do you go to learn the process of making tequila? Scott: Well now you go to a million different places, when I did it, you know there wasn’t even (talking 110 years ago), there wasn’t a whole lot of places to go. You know I was just finding anything I could, books, anything online I could find, little tidbits, articles, you know I searched everywhere. And I searched everything from you know from the process of making tequila, to the other side of it which is the business side of the spirits industry which I had to learn both. You know I didn’t come from the spirits business, I didn’t come from the production side of it and I didn’t come from the business side of it. 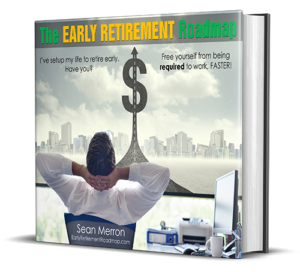 I was really learning everything from scratch and coming from the business world I knew, “I got to know the business as well. I can’t just learn how to make tequila and think I’m going to be successful at this.” So it was really just searching from everything I could find from, you know, books at Barnes and Noble on spirits or any kind of spirits. And typically what you would find then was, you know, tequila wasn’t as popular so you would find a book on spirits and you would find a chapter or a page on tequila. Todd: Did you consider getting a job in the spirits industry to learn the business side of it and then and then on the side you were learning the tequila side of it from Mexico.? Todd: Why would you never have done it? Scott: Because it’s so much more incredibly harder than you can imagine. I mean there’s hurdles on every aspect of it. You know, before you even get to the part of trying to break through as a brand, before you even reach that point, there are hundreds of hurdles. And I’ll never tell anybody…I’ll talk to anyone who wants to reach out to me. I try to because when I was starting out a lot of people wouldn’t even meet with me or discuss anything with me, so actually as much as I can as time allows. But I never tell people not to do it, because some of the people I met with told me not to do it. It left a bitter taste in my mouth. But I’ll never tell them not to do it, but I’m honest with people. I mean it’s not, “I’m going to start a liquor company and I’m going to be getting in bars and popping bottles.” You know it’s really a grind, you know. And this industry is not set up to help the little guy. It’s set up to propel the big guy, that’s what its set up to do. Which is fine, you know, it helps companies like ours that have been successful, kind of break through a little easier because you know a lot of brands are fighting, fighting, fighting. But there’s hurdles. There’s hurdles in getting your label. There’s hurdles in getting a distillery. There’s hurdles in importing. There’s hurdles in getting licensing. You know and beyond the normal hurdles they’ll just put in place to make you work hard to get there, there will be problems. Scott: You know just getting a label and your label is you know spot on perfect and everything is great, there will still be a mistake. You know? And that mistake requires multiple state, local office visits and notarized papers and reapplying and putting things in the newspaper to announce that you’re around. So, it’s a lot of work, there’s a lot of hurdles and there will be a lot of mistakes. I look at it you know from looking back on it now, I know so much about my business from the inside out just from managing you know customs on my own, managing my trucking companies on my own, managing the distillery on my own. I did all my label processes on my own, all my approvals on my own. I did all on my own because I didn’t know any better. Looking back on it, it’s an education I’m glad I got, but these days you don’t necessarily need to do that. Todd: So on your LinkedIn profile January 2012 it shows that you officially started Tequila512. Certainly a lot led up to that moment, but what prompted you at that time to officially start and what did that business look like at that time? Scott: Well, its interesting. I kind of chose that date just because that’s when I finally had product available. You know, honest, I had my LLC several years before that. It proves it took that much time to get it done. What happened is I got to the point where now, where I piece together a business plan over lunch hours and you know hotels rooms while I was traveling or whatever, you know. Scott: And I had nothing else. So from then until the point that you’re talking about was business plan, what am I going to call it, how am I going to import to get it here, how to order bottles? You know, how do I do labels? Where do I get corks from? How do I get the closers for the tops of the bottles? How do I get the neck labels at the top? All those little different parts that have to go into making just one package. I learned all of that and at the point where I was on LinkedIn where I was actually officially starting the company was when all that come together, I convinced some friends and family to give me a little bit of money. Scott: You know really boot strapped it. It was another industry guy who, Clayton Christopher from Deep Eddy had told me, “You’ll never start a liquor company unless you have tons of money.” And I did the opposite of that – I didn’t have a ton of money and I had just enough money to bring in my first 1,000 cases. And I started driving around in my truck to deliver to liquor stores, restaurants and bars and saying, “Hi. My name is Scott Willis and I started a tequila company would you like to try our tequila?” And it grew from there. Todd: Who was your very first customer? Scott: My very first retail store was the liquor store that was about 2 blocks from my house, South Lamar Wine and Spirits. Scott: That’s a store I was going in constantly and I was showing pictures of labels and asking questions and pitching the brand. And Pete, the owner of that store, I just basically browbeat him and said, “when the product comes, you’re going to take it.” He said, “Fine, bring me a case and I’ll make room for it whenever it gets here.” So I got my first 1000 cases October 31 of 2012 and I delivered my first case on November 1st and then just kind of went from there. Todd: I interviewed Jeff Stuffings from Jester King brewery a couple of weeks ago and I asked him the same question and he had the same answer… South Lamar Wine and Spirits. His very first customer as well, so that sounds like a good guy there. Scott: It’s a very local company so when Pete had a convenient store…The store that used to sit where his store sits, was Chris’s Liquor. His dad ran Chris’s Liquor. That store moved, they sold the name, they sold the brand Chris’s Liquor chain of to someone else, but they still owned the land. So Pete, growing up in the business, said that, “I’m going to come back and start my own liquor store on the same spot where my dad’s store was. So he has a beautiful store there. Scott: And obviously growing up in Austin, living in Austin, basically this part of Austin needs to support locals. Todd: Yeah, what was more difficult getting you product into stores or bars or bars within restaurants? Scott: Bars and restaurants together still are by far and they still are today. And not just for me for everyone, so a retail store, you know he’s going to buy a case of products right up front. So mine is a 12 bottle case so he would buy a case right up front if he likes it and thinks he can sell it. They get pretty good margins and if they can’t move it they’ll just reduce the price try to move it and still make money on it. So for them the risk is a little bit lower. Most bars typically don’t have as much space. They’re not buying cases, they’re buying a bottle or two bottles to keep behind the bar. And the competition is really, really tight in bars because you got big brands that are going in, that are selling you know like a Diageo or Pernod Ricard, they handle all the big name brands. So if they happen to buy maybe a smaller label that guys who’s selling you Jack Daniels and Jose Cuervo, says, “Hey, guess what? We’ve got another brand here that you may like.” So obviously that more powerful than me walking off the street with no clout, with no relationships at that point in selling it. But the beauty of the city we live in is we’ve got some great local places, Maudie’s for example. Jack Allen’s, those places early on gave me a shot just from meeting me. You know Jack Gilmore at one of their locations, when they first opened up the Round Rock location, he tried it, liked it and said, “Okay, we’ll carry it.” It was simple because we were local he was local, he liked the product, and that’s all it took. And a similar thing with Maudie’s. We were regulars at Maudie’s, my family and I and the guy at the time who was running it, Joe Luhob, he was kind of a regional GM-guy said, “We’ll give you a Chalk Board Special at the one store you go, so you can at least you can drink your own tequila when you come with your family.” And I said, “That’s all I need Joe. It’s a start!” And it went from there to being on all the menus at all locations, and we’re in their Signature Skinny Margarita there and they’ve been great and they’re a great supporter of local brands. And from there we’re now in all the Rainey Street bars and in the Marriott and Driskill and some other really amazing locations that I never thought we’d be in so it’s been great. Todd: In an Austin Business Journal there has been an article it states that you were in the Austin airport getting ready to fly to Mexico, and I’m assuming this is September 2014 when you called your boss and quit. Describe the scene and what led up to that? I’m like, “Right now? I’m about to board the plane!” She said, “Yes, before you get on that plane you make this call.” So I called him and I’m having this conversation and they were announcing my name over the load speaker. The flight was about to close – they literally were about to shut the doors. And I had a business partner traveling with me and he was getting nervous. He had never been on a plane. He didn’t know what was going on and he was texting me and texting me and I was on the phone. And so I talked to my boss and finally, he understood and he thought it was nice that I could do that and I said, “I got to go cause I’m about to miss my flight.” And he said, “Great, thanks for letting me know.” I boarded my flight and I was without a job to that trip to Mexico. Todd: How did it feel? Todd: You also point to Tito’s vodka here in Austin. And certainly, with Tito’s being here and the local craft breweries. They can control every single aspect of their production. You have to rely on all of that being done in Mexico. How often do you go to Mexico and how do you control that quality? Scott: So I go down there for every bottling so for every production I go down there. I taste before it goes in the bottle. I taste everything actually before it even goes in the casks for aging. So if we are going to do a run that’s going to be put down for a Reposado or our latest release Anejo, I go down and taste the blanco tequila make sure its correct before it goes into the barrels and I also choose the barrels. So Luis Trejo is the master distiller down there, and has been, He was the first guy I worked with when I went down there. So he and I worked from the beginning on flavor profile and obviously you know he’s the master distiller. So, we’ve got a real collaborative way we work together which has been great. You know I go down, I told someone this just the other day…They said, “you know you need to be consistent every single time.” And I said, “Everything needs to be consistently good every time.” In other words, if I tasted it and it was better, I would bottle that tequila. Scott: My goal is to be consistent but it’s also to be consistently better. You know we want to make sure we are putting the best products we can in those bottles every single time. And Luis gets that and so we work well together when I go down there every time. Todd: So the bottling, the labels, the boxes…everything is done is Mexico when it comes across the border its ready to go. Correct? Scott: Yeah so correct so per law, the tequila commission down there you got a council they work with all of that so anything that’s 100% agave tequila has to be bottled, packaged, sealed and ready to go when it crosses the border. So the only thing that you can bring across in, let’s say you brought a tanker of tequila across, the “Mixtos” so they are not 100% agave. They are 51% blue agave, 49% other sugars that most people know better than to drink these days. Those can come across in tankers and you can bottle those here, but 100% agave has to all be done down there. Todd: You bring them across in Laredo? Scott: Yes we do it over there in Laredo. Todd: And so in the Fall of 2015, you landed in $1.1 Million in funding. Was that your first round of funding prior to when you were going to friends and family and raising just a little bit to get started? Scott: Yeah, yeah that was it. That was my first what you would call, professionally around the house my first “real money”. Scott: It was kind of ridiculous to say. 100 thousand dollars is real money, but in the business world when you’re starting especially with a liquor brand, you know a million dollars is actually considered really small. And most of the people I know in the business probably would have looked at that, as their friends and family round you know, “a million dollars gets you off the ground.” We looked at it as, “Okay, now we are going to be players with this money”. Which you know led us to the thing that you probably have to do with the rebranding and all that but that was first you know kind of piece of real money that allowed us to do some big kind of things that we couldn’t do before. Todd: What was the biggest change that you made with that round? Scott: I mean there was just so many things this last closing of the funding that have been big for us. I would say the biggest thing for us overall is going to be the packaging. Scott: And we were able to take part of that money and sign on with a local branding firm called Butler Brothers in Austin and spent almost 10 months now working on it. Scott: And really it’s just from the ground up rebranding of the entire package. That’s probably, no definitely the biggest thing that’s happened to us. Scott: Well I mean, you know packaging, our packaging, and I’m sure most spirits brands would I agree with this, is your most powerful asset. You can’t be in front of consumers all the time explaining your story or explaining your packaging to people or why something is there or what it means. It’s really got to speak for itself you know and we’ve had, what I would consider rapid growth over the past several years. You know our brand has begun to evolve and we wanted our brand identity to mirror that evolution. You know we’ve had a wave of success and it’s time to grow a little bit. The new packaging, what we did with it was really a more mature look without being too overly luxe for lack of a better word. The juice is always good – when we talk about spirits we call it good juice. We always had good juice, but now we have the packaging that nothing matched it. Todd: And what’s the local company again that worked on your logo? Todd: Okay and you also have Blanco, Reposado and Anejo. How long have you had all 3 of those or is 1 of those new? Scott: Anejo is brand new. Scott: Reposado was our flagship and still is. The Blanco though, that’s the big one. That won our double gold and Best in Show of World Series Competition 2015. Scott: So the Blanco, as of 2015 was the best Blanco in the world. We won the most prestigious competition you can win, blind taste test of the best spirits palettes in the country coming together to vote on that. Scott: And that was a huge thing for us and that happened right before we began to start the fundraising process, which you can imagine helps. Scott: So that was first and then the Reposado has been out for just over a year now. Our first batch of Reposado had a fairly limited run that I did. I chose some barrels, you know we put the barrels down to age before we’d even known that we had won the World’s Spirits competition. It was the first competition and we had sort of started fund raising. I just knew I needed some age product. So I put a limited amount down and let it sit for 9 months in whisky barrels or bourbon barrels in the distillery and then by the time we had won the awards the Reposado was ready, that came out and I signed with a small distributor. And they began to help distribute and then as of yesterday, the Anejo will be available. So that’s our last, expression as we say. That’s a 13-month aged bourbon barrel tequila that should be in the new packaging and on the shelves this week. Todd: Then Reposado is aged up to 9 months, is that right? Scott: No you can age them up to a year. Todd: Up to a year? OK.
Scott: It has to be a minimum of 2 months…up to 12 months. Anything over 12 months becomes an Anejo. So we did our first one at 9 months. This last batch of Reposado we had new barrels for so they didn’t age quite as long, they didn’t need to. Scott: But we don’t want to put age expressions on the bottle, because again, what I said before, we want to make the best products that we can. If it tastes better at 6 months than it did 9 months, or better at 4 months than it did at 10 months – that’s what we are going to pull it out at. So again, this newest Reposado is rested a bit less, but it was newer barrels so it didn’t use much. Todd: What does the company look like now in regards to number of employees and also your footprint – where you selling through? Scott: So right now, and again with this kind of fund raising, we were able to bring on some fantastic people. We’ve hired a local sales rep for a Central Texas Sales Rep named Dwayne Clark. He came to us from Absolut vodka so he came from a big brand. And he’s been doing a fantastic job for us out there on the field and then most recently I hired an industry veteran named Christopher Cain. So Chris Cain had helped grow another Texas-based tequila brand from really smaller than we even are now up into 14 states of distribution to where they eventually sold of another larger brand. So we were able to get him and we are super happy to have him on board. He’s already doing some great things for us. So now we’ve got him and we’ve also another full-time guy, who’s kind of an events guy for us. So we’ve got including myself four full-time people, not to mention that we contract out a lot of our tasting events to a fantastic local company that we use for everything. And then my wife who does all the PR – she’s our PR professional so we’ve got her doing PR for us. Todd: Are you still primarily here in Austin are you down in San Antonio yet? Where are you at? Scott: The new distributer we just signed on with is Republic National Distributing. Scott: So RNDC is one of the biggest in the country. Scott: We just signed on with them as of last week. Scott: They picked up their first product, so the previous distributor we were with a little smaller company out of Dallas and they did a good job for getting us kind of up and down that I-35 corridor really up as far as Gainesville, TX where I grew up. Down through Dallas and Ft. Worth, Austin and then down through San Antonio area. So they did a good job as far as that corridor goes. Now with RNDC we are expecting to see really far reaching, you know. We are expecting the pan-handle to the valley. El Paso down through Houston, so our state-wide coverage should grow dramatically over the next couple of months. Todd: Looking back, since the beginning, is there a moment that you can remember where you thought, “My God, this is a total disaster,” but you can kind of look back on it now and laugh? So essentially they just told me we weren’t going to be able to produce my bottles. Now I raised the money from friends and family, I had the bottles made, the glass was made the corks were made, the top labels were produced all those little pieces and I’m telling you before were done, and now we got them telling me we can’t decorate the bottles. So after some stressful days and weeks, what we finally came to conclusion of was that my bottle manufacturer had a cosmetology division in Toluca, Mexico that just did cosmetology packaging in bottles. Todd: What are your top priorities right now and over the next 6 months? You’ve just rolled out Anejo, you got the new labels, what now? What now what are you really focused on the next 6 months? Scott: So you know getting through this sort of rebrand and re-launch, this is really more detail than I could have imagined, is just really based on everything from your social media presence, how you talk about the brand, Facebook you know our website is updated now and I actually got a few things to do today – go work on the website a little bit. I don’t have a web team so I’ve got to go in and make sure the website, there’s certain things in there that I got to double check on and then that’s probably the next 3 or 4 weeks to a month out that we’re just doing that. Then we get into, “Okay now let’s take a look at how the new distributor is doing, because they are a new distributor for us. So let’s look at how they’re doing, what’s their footprint like, how do the sales look…as we call them, how are the depletions looking?” And then we say, “Okay, do we need to get our depletions picking up and do we need to get more product ordered?” So really the next 6 months is learning how to work with the distributor, figuring out how our productions are going to change based on the extra push from them, is there a dramatic size increase from what we had before.? You know going from a company, a distributor of 3 to 4 people maybe 5 at times to a company where just our sales team individually has a 150 people on it. Scott: We’re expecting a lot more growth based on that plus the new packaging, but we don’t know what that growth is going to be like, so we’re really just kind of hunkered down now saying, “Okay, let see what this next month looks like and if we’ve got to start placing more orders for more products to make sure that we can keep up. So that’s really it. Todd: That’s a lot. Who are some of the mentors that have helped you along the way to make this happen? Scott: Oh man, there’s so many. Inside and outside then industry there are so many and when I was starting this stuff I reached out to every single person I could that was in the business or in a business or that owned a business or that had owned a business, to just pick brains and buy anyone a cup of coffee that would sit down with me. I had some great conversations earlier on with Clayton Christopher from Deep Eddy. We had a mutual friend that connected us and he was kind of gracious enough he gave me up where he said he only had 10-15 minutes on a phone call and we talked for almost an hour, so he gave me tons of notes from that conversation. And this was before I launched so it’s been a while and then he gave me maybe another hour or one morning that we met up for coffee and he was going, “you’re going to launch now,” and he would let me pick his brain a little bit more then. You know less of a mentor and more of an inspiration, but I mean I’ve kind of in the beginning I’ve said this before about trying to kind of see how he did what he did. You know obviously there was some things in place, being the first that he was that no one will be able to replicate. Scott: And on the side note, I dropped a bottle off at his office and he left me a voice mail yesterday thanking me for the bottle. Which is kind of a cool thing to hear on your voicemail. Like, “Oh my God, he is cool.” So like he was an inspiration more than a mentor obviously because he and I never sit and talked about this kind of stuff. Um, my wife probably. I’m thinking she really has through this whole process, you know she’s always the once I check in with about…is this the right call? are we going to the left or right here? what do you think? And she’s always steered me the right way so. Todd: Awesome. All right last to find Tequila512 your web address Tequila512.com on Instagram and Facebook @tequila512 and on twitter @tequila_512. Scott, thank you for joining me today. Scott: Thank you Todd, I really appreciate your time, man.